Dave Honeycutt, right, and Conner Monroe at Blue Door Theatre. Though not as abundant or frequent as the local live music scene, if you know where to look you'll find that the Inland Northwest's comedy culture is far from falling short on laughs. From local funny folks playing the club circuit and open-mic nights on their way to the top, to nationally recognized performers, you can LOL at just about any price point, or even for free, and as often as multiple times a week. For belly laughs courtesy of nationally recognized talent, keep up on the entertainment schedule of NORTHERN QUEST RESORT & CASINO (northernquest.com), which books at least a half-dozen comedy shows annually. It's hosted dozens of famous performers in the recent past, including Wanda Sykes, Jeff Dunham, Jay Leno and Joan Rivers. In October, the resort hosts the Last Comic Standing Live Tour. Downtown Spokane's iconic FOX THEATER (foxtheaterspokane.com) is also known to book professional comedians in between hosting Spokane Symphony concerts — big names like Tracy Morgan and Lily Tomlin have performed there in the recent past. Just down the street from the Fox, the BING CROSBY THEATER (bingcrosbytheater.com) is yet another venue always on the lookout to fill its walls with laughter, continuing to host installments of its Bada Bing! Comedy Series, as well as touring comedians and variety-style shows. Even more frequent than these venues' comedy bookings are regular bar open-mic nights and comedy club shows. With an intimate setting and a cast of all-local volunteer actors — known colloquially as "players" — the BLUE DOOR THEATRE (bluedoortheatre.com) hosts at least two shows every weekend. 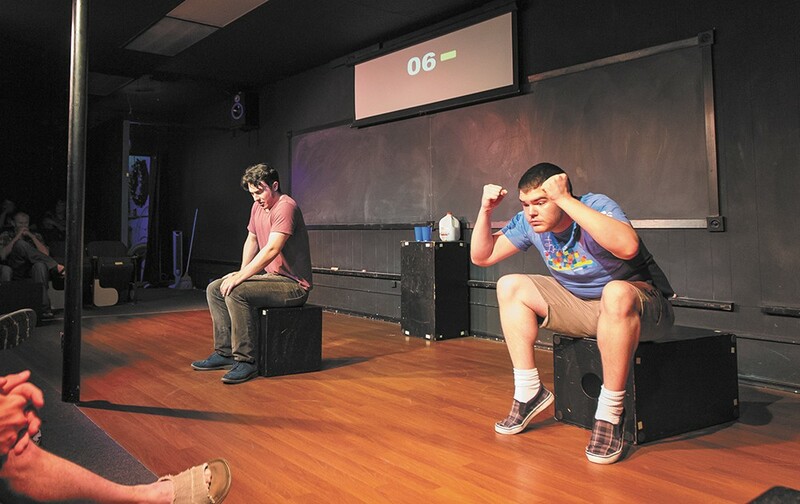 The nonprofit improv club in the charming Garland District features a monthly rotation of themed shows throughout the year, using everything from Christmas cards to clippings from the Inlander's "I Saw You" submissions as comedy inspiration. At any show, audience suggestions are always requested.